In terms of material, Sphere is not a ressource-consuming solution. The software is able to do most of the operations we expect it to do with a wide field of configurations, even the average ones. It's important to learn a bit more about its configuration when we need to exploit more complex operations. For example, you'll need an adapted configuration to do video editing and post-production before importing to Sphere. Similarly, Sphere users that would like to use 3D features require the material that allows 3D handling. 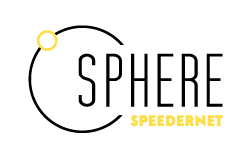 In any case, the graphic performance of your computer will impact your comfort when working with Sphere. Even if the software is continuously evolving and optimizing its performance, it relies as well on your material.